World First is a travel insurance specialist. 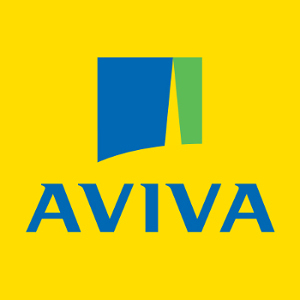 Established in 1973, it is a family-run business that pushes the boundaries on terms of cover; it was the first insurance provider to cover travellers with HIV, along with thousands of further medical conditions. Today, it offers annual policies for holidaymakers up to the age of 79, and has a 14-day money back guarantee on all travel insurance premiums. While each policy has specific benefits, World First allow you to tailor any of them to cover all destinations worldwide including Europe, Asia and the USA, for travel up to 12 months in advance. Remember that buying your travel insurance early can be a wise precaution as you will have cover in place in the event that you need to cancel your trip. All policies feature coverage for travel delays, luggage loss, legal fees and personal liability, for trips of up to 31 consecutive days. World First travel insurance also covers up to 150 sports and activities as standard. From there, you can choose to add optional extras. These include increasing emergency medical expenses to £10 million, plus separate cover for sporting equipment or technology. World First cover a range of medical conditions, allowing you to declare them in order to be covered (see below). Note that if you’re travelling in a group, each member can be covered for different activities or medical conditions. Further add-on World First travel insurance benefits include increased cancellation cover of £10,000 if you’re going on a cruise. Cover for weddings abroad, golfing equipment, hazardous sports and business travel is also available. Get a World First travel insurance quote tailored to your needs here. The most significant difference with World First travel insurance is that they do not use the standard set of questions for determining whether or not they will cover a traveller with pre-existing medical conditions. World First believed the standard question sets used by most travel insurers and comparison sites alike, could be improved on. They’ve developed their own set of questions which they say are more relevant and make more sense for you the traveller and help them understand your medical circumstances more accurately too. If you’ve struggled with medical questionnaires in travel insurance before, this might provide a useful alternative. As a result, World First travel insurance promises not to let medical circumstances hold you back, offering cover for travellers affected by up to 1,000 conditions, including Alzheimer’s, cancer, Crohn’s, diabetes and multiple sclerosis. There is also a dedicated pregnancy travel insurance policy, which contains no exclusions provided the traveller has suffered no previous pregnancy complications and it is not a multiple pregnancy. Check if your medical condition is covered on the World First website. 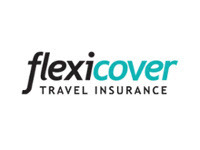 How much does cover cost with World First Travel Insurance? With so many types of cover available, individual premiums will vary according to your needs and circumstances. For example, pre-existing medical conditions may result in a higher policy cost, as will including cover for extreme sports not featured within World First’s standard policy. You can find out exactly how much your travel insurance will cost by getting a quote on the World First travel insurance website. It is always worth bearing in mind that a year-long policy may work out more cost effective than buying single trip travel insurance, if you are planning to travel abroad more than once over the next 12 months. What do World First travel insurance reviews from customers say? “Patient, polite and understanding,” was the conclusion of a couple from Weymouth, who found the cost of travel insurance soaring as they grew older. World First offered them a competitive deal, enabling them to explore Europe and South Africa as they reach their 75th birthdays. “I would encourage anyone with a pre-existing medical condition to give World First a try,” remarked Mrs Simpson, who was able to travel to Florida after being diagnosed with breast cancer. Over on Trustpilot, reviews for World First travel insurance are also largely positive. The company has score of 9.4 out of 10, marking it as Excellent. 79.7% of the 852 people who left reviews gave the service 5 out of 5 stars and a further 18.3% gave 4 stars. World First travel insurance has an overall rating of 5 out of 5 stars. What do World First travel insurance reviews by the experts say? Get a quote from World First Travel Insurance.